In 1867 Mr George Tillion, a pork butcher, occupied these premises but by the 1870s the trade had changed to a grocery, as it was to remain for about the next 80 years. 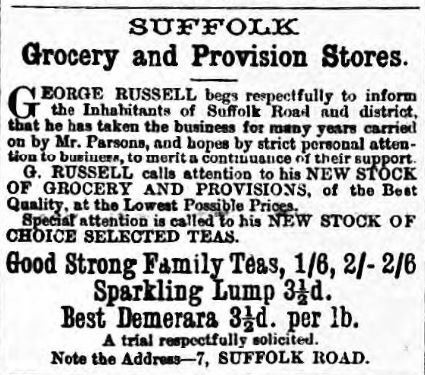 ​The first grocer was Mr Parsons and he was replaced by George Russell in 1880. In 1883 Mr Russell was paying a yearly rental of £20 for the shop and in the following year his daughter Fanny Emily was born here. 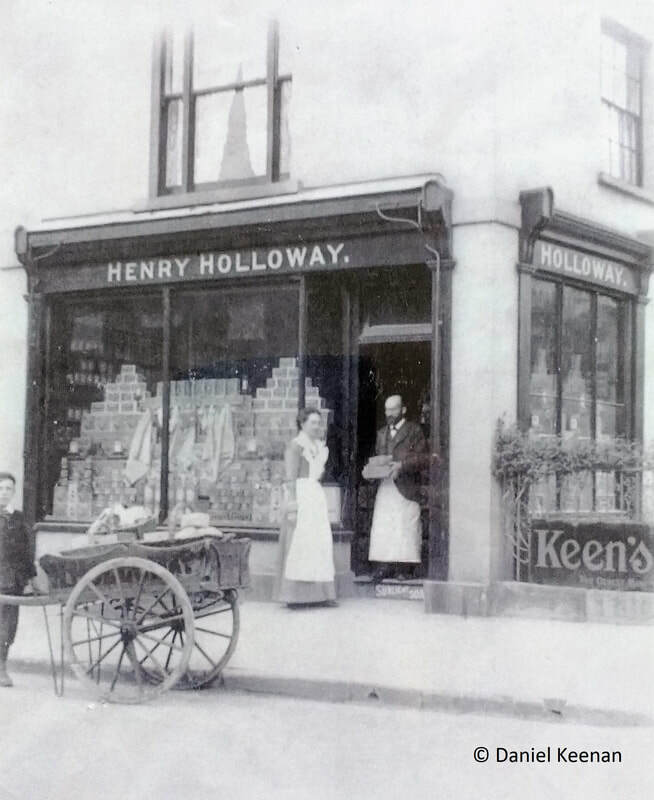 I​n about 1892 the shop was taken over by a grocer called Henry Holloway. Mr Holloway died in the 1930s and was succeeded by his wife, who continued the grocery business until the early 1950s. ​Their son Keith Holloway continued to live here as a recluse, with the old shop adverts and goods gathering dust in the window, until at least 1973. 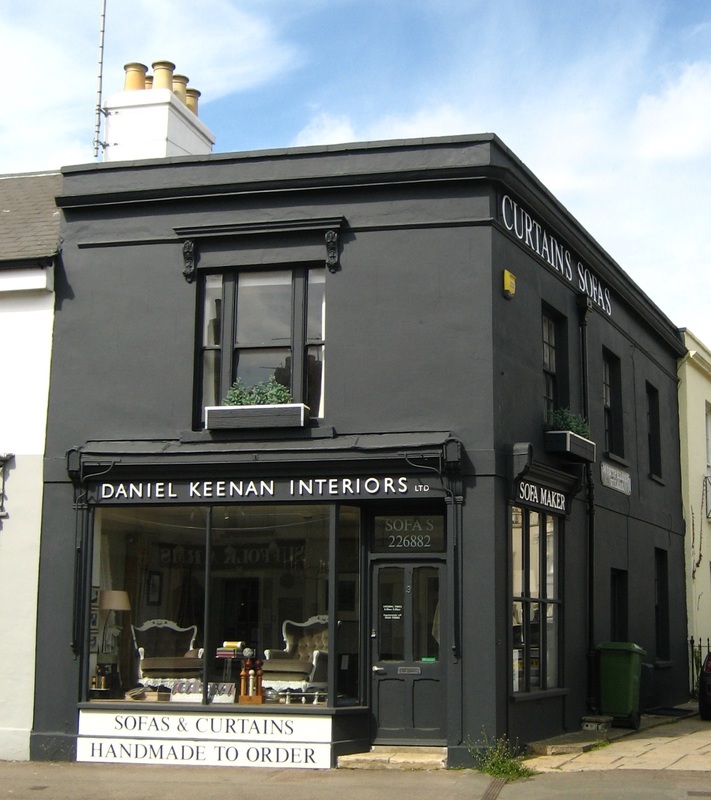 ​Since 1995 the shop has belonged to Daniel Keenan, a bespoke furniture maker and interior designer. Daniel was born in Cheltenham in 1956 and started to learn his trade in 1972, when he joined Cavendish House. He moved to London a few years later and became self-employed before moving back to Cheltenham. 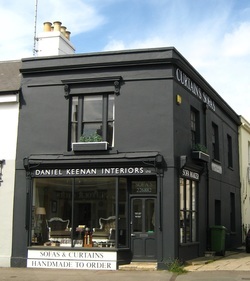 The business at 7 Suffolk Road initially traded as the Upholstery Shed and now as Daniel Keenan Interiors, with a furniture workshop in Mead Road, Leckhampton.